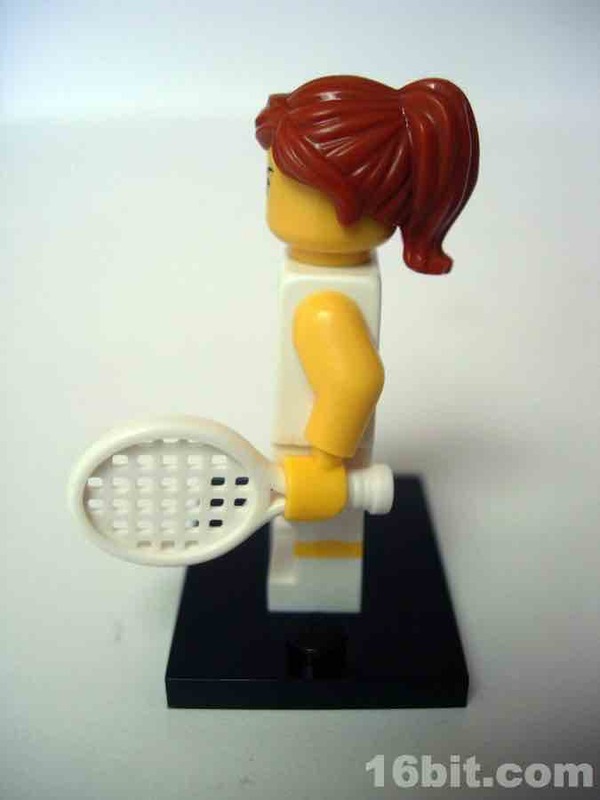 If for any reason you're going to need an executive head, or perhaps a Bettie Page head from her more daring shoots, the head of the Tennis Player may be a good fit. There aren't many "mean" or "determined" female LEGO faces, unless you count the witches, and I usually don't. You can't use a green head to replicate Meryl Streep in The Devil Wears Prada, or I guess you could, but that's really your call. Her quote on her bio page? "I win again!" The figure uses the same sculpt, but manages to give us some new things. Like the Cheerleader, she has a short skirt, and the hair is similar to the one used with the Nurse in the first series. 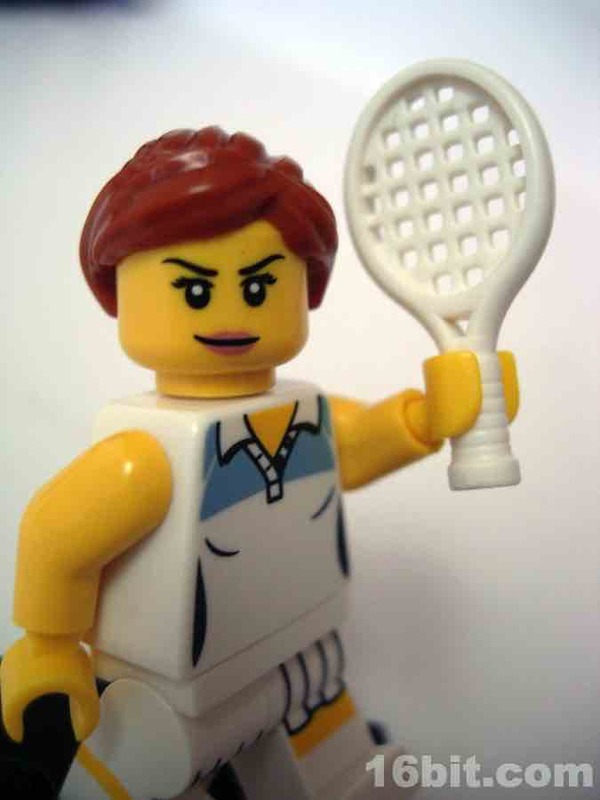 The racket is, as far as I can tell, new for this figure and the outfit is really perfect for any country club you may decide to build. 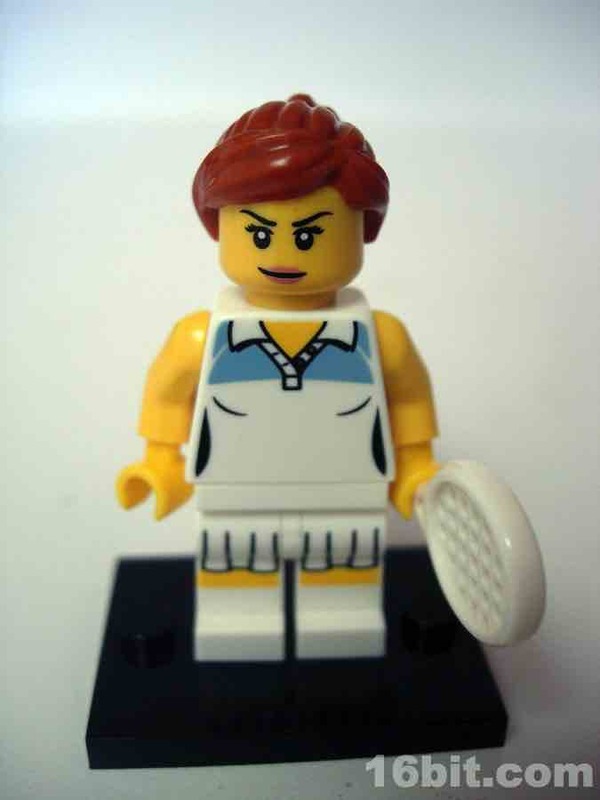 It seems that with most LEGO sports figures from this line, buying one (as a collector) is not necessarily your best move. You'll probably want to buy 2 or more of every sports character, just so you can swap faces and hair to set up some sort of a competition. 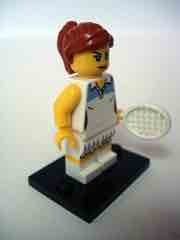 This is a neat figure, but without an opponent it feels something is missing. 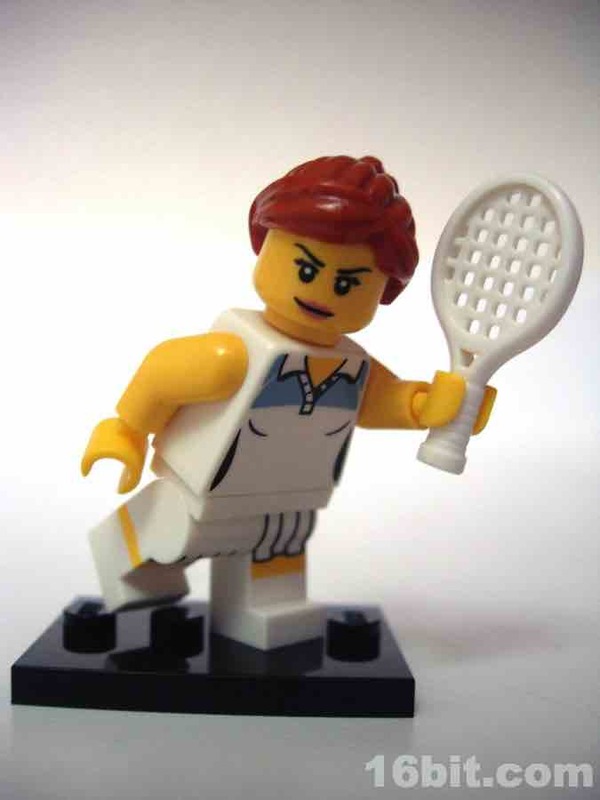 Perhaps a LEGO Andre Agassi, Arthur Ashe, or John McEnroe are on deck in the future.